WASHINGTON — Republicans rammed a near $1.5 trillion package overhauling corporate and personal taxes through the House on Thursday, edging President Donald Trump and the GOP toward their first big legislative triumph in a year in which they and their voters expected much more. The near party-line 227-205 vote came as Democrats on the other side of the Capitol pointed to new estimates showing the Senate version of the plan would boost future taxes on lower and middle-income Americans. Those projections, coupled with complaints by some GOP senators about their chamber’s proposal, suggest party leaders still face a challenge in crafting a measure that can make it through Congress over solid Democratic opposition. 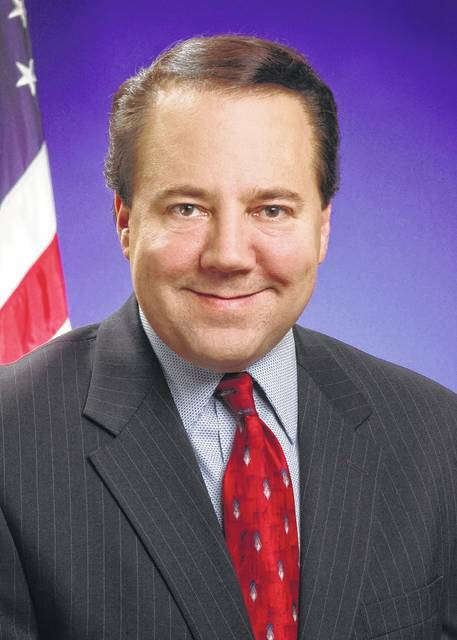 “With the passage of the Tax Cuts and Jobs Act in the House, we are on the brink of a pro-growth and pro-family tax reform package becoming law,” said Rep. Pat Tiberi, R-Genoa Township, who recently announced that he is resigning from Congress. “This plan will deliver tax relief and put more money in the pockets of hardworking Ohioans. How much? For the average middle-income family of four in my district, it’s a tax cut of $2,700. That is $2,700 that allows them to plan for their future, save for retirement, and invest in their kids’ education. Thirteen Republicans — all but one from high-tax California, New York and New Jersey — voted “no” because the plan would erase tax deductions for state and local income and sales taxes and limit property tax deductions to $10,000. Democrats derided the plan as a scheme to help the rich but do little for others. Both the House and Senate versions of the legislation would cut the 35 percent corporate tax rate to 20 percent, while reducing some personal taxpayers’ rates and erasing and shrinking deductions for individuals. Projected federal deficits would grow by $1.5 trillion over the coming decade. Republican Sens. Susan Collins of Maine, Jeff Flake and John McCain of Arizona, Bob Corker of Tennessee and Lisa Murkowski, and Ron Johnson of Wisconsin have yet to commit to backing the tax measure.